For the amateur astronomer in a city, the biggest obstacle is light pollution, mainly from street lighting. Until recently, most street lights were sodium discharge lamps, initially low pressure (LPS), but later high pressure (HPS). These lamps gave good and efficient lighting although the LPS lamps gave poor colour rendering (better with HPS). 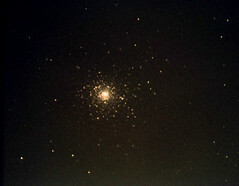 For amateur astronomers, because sodium lamps produce virtually monochromatic light in a small wavelength band averaging about 593 nm, the light pollution (skyglow) could be removed by using optical glass filters although nowadays the filtering can be achieved via astronomy software for astrophotograhy. For this discussion colour temperature is important; that is the temperature at which a black body would emit radiation of the same colour as a given object. The relationship between colour and temperature is familiar to astronomers because it is how stars are classified. The colour temperature of LPS is 1800 K while the SON type of HPS has a colour temperature of 2700 K (the higher the colour temperature, the bluer the light). HPS lamps give a wider colour spectrum, but can still be filtered. Like many cities across the world, the City of Edinburgh Council (CEC) has begun to replace sodium street light luminaires with light-emitting diode (LED) clusters. The case for this change is that LEDs are more energy efficient (using less electricity) and give a nearly full spectrum of light. The colour temperature of CEC’s LEDs is between 3700 and 4300 K. (For comparison moonlight has a colour temperature of 4100-4150 K and for daylight it is about 6000 K.) As a result, LED street lights emit much more blue-rich light than HPS lamps. 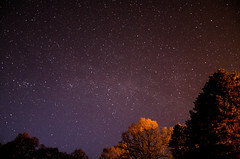 This can impede night sky observations and also affect the health of humans, plants and animals. There is even evidence that exposure to this blue light can increase the risk of breast and prostate cancer. Unfortunately for amateur astronomers, blue light is far more polluting than red or yellow light as the amount of light scattered by small particles in the atmosphere is inversely proportional to the wavelength. Blue light also contributes to glare, a growing problem in brightly-lit cities . 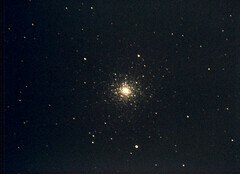 This is a matter that greatly concerns the International Dark-Sky Association (IDA) . Its Fixture Seal of Approval (FSA) provides objective, third-party certification for luminaires that minimize glare, reduce light trespass and do not pollute the night sky. In 2014 the FSA programme began requiring lighting that has a colour temperature of 3000 and lower (up to 3220 K actual measured value). However, with the rapid pace of technological advance in the lighting industry, the IDA is likely to reduce its recommendation to 2700 K or lower. The IDA seeks the best possible scenario for new LED installations and retrofits to replace old technology without increasing light output and minimizing short wavelength emissions while also decreasing operational costs and energy consumption. In April this year I asked CEC if they would be following the IDA’s recommendations, but their response was to claim that their design and specifications are in line with current British Standards (these appear to require LEDs to have a minimum colour temperature of 4000 K). Understandably, CEC would be reluctant to change its specification for LEDs. ASE is the only amateur organisation in Edinburgh that can legitimately express a view on this matter. Consequently ASE should press CEC to correct its present specification to reduce light pollution to reduce skyglow, if for no other reason of which there are many. 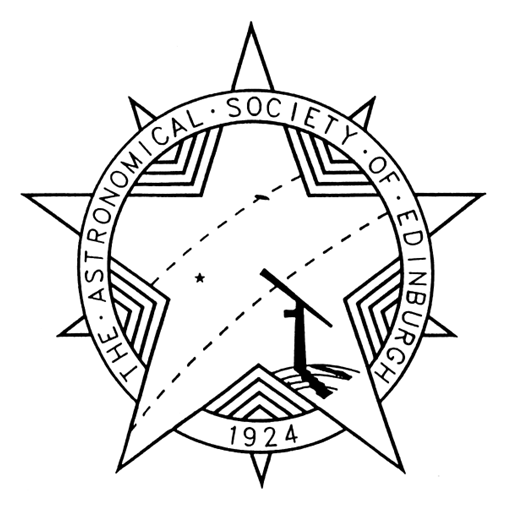 Without this change, Edinburgh residents are unlikely to see much of the night sky and amateur astronomers will be frustrated. ‘Night skies get the blues’ by Gabriel Popkin in Physics World, March 2015.